The outsourcing guides included in this page will help deepen your knowledge and understanding when it comes to outsourcing. We provide a powerful outsourcing guide for every major area of the industry, such as accounting and finance, payroll and salary compensation, IT, and customer service, to name a few. Outsource Accelerator’s comprehensive guidebooks, and instruction manuals will enable you to move into the world of outsourcing with more confidence and conviction. With these guides, you will no longer be walking in the dark with regards to where your business is headed as you decide to enter the world of outsourcing. We specialize in Philippine outsourcing, and we highly recommend that you begin your outsourcing journey in this country. Do you want to learn how to start outsourcing in the Philippines? Are you planning to hire a startup BPO company based there? Is your knowledge about the most common business areas to outsource lacking? Are you curious about the general outsourcing incomes, salaries, and employee benefits in the Philippines? We have various guides that will help you know more about most of your basic outsourcing concerns and interests. Each one is a comprehensive guide that includes unbiased, independent information from our top researchers and consultants. Learning about outsourcing has never been so easy! Visit our website and check out our guides to know more! Outsource Accelerator’s outsourcing guides provide the best outsourcing information for anyone who needs them. With these guidebooks, we are able to help any businessperson come into the industry without taking too many risks. And if ever there were, we make sure that you take calculated risks that would still be profitable for your business in the long run. Our guides provide step-by-step procedures and practical ways to help you get accustomed to common outsourcing terms and methods even before you are officially into the process. Reading our guidebooks will give you all the time you need to set up and prepare your own business and team even before hiring your very first BPO service provider. We offer some of the best business process outsourcing guides in the industry today, including those that particularly tackle outsourcing to the Philippines. Whatever you need, we have a guide for it. 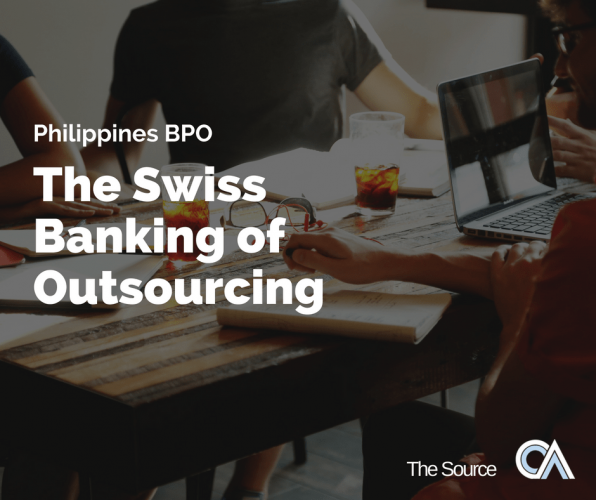 Some of them include a general guide to outsourcing in the Philippines, a guide to the most common outsourced functions in a business, the top 10 outsourcing cities in the Philippines, and the top 40 BPO companies in the Philippines. If you are looking for a guide to choose the type of BPO service level to avail or a guide to the standard income and salaries in the Philippines, then you have come to the right website. We also offer those types of guidebooks here for free. Feel free to check out our list of guides below. Access whatever you need at your own pleasure. Indulge yourself with these readings to grow your basic knowledge of outsourcing. Familiarize yourself with the ins and outs of the industry. Discover how to do it effectively, particularly in the Philippines. In these guides, we are able to select, organize, and present to you an extensive amount of relevant data and information specialized in making your outsourcing journey in the Philippines successful. We have also compiled a few guides specifically to create a powerful outsourcing tool kit. This starter tool kit will help ease you into outsourcing and growing your business. We would like to help you make our partnership fun, interesting, and ultimately, a success. Download our outsourcing tool kit now and together, let us help you begin your outsourcing journey! All of our Philippines BPO guide manuals are packed with valuable content that is designed to quickly make you familiar with the outsourcing industry in the Philippines. Each one was curated by our best researchers and consultants who have years of experience when it comes to actual outsourcing in the Philippines. Not only are the guides full of valuable information, but they are also professionally-written, easy to understand, and use simple language that concisely and accurately conveys our message. Whether you are an outsourcing beginner or not, you will surely find value with these outsourcing guides without taking too much of your time. Every chapter of all of our outsourcing eBooks contains rich information about the industry that could easily be understood even by outsourcing beginners. Each guide is divided into subtopics for clarity and organization. Some of the subtopics are further broken down into even smaller ones so that it can be discussed in a more detailed way. You could easily make a distinction where a topic begins and ends, but still, the transition is seamless in order not to interrupt your train of thought. Despite being comprehensive, these guides are concise. It means that they do not include unnecessary content. We tell you what you need to know without all the fluff. We understand that, as entrepreneurs, you value your time so much. Thus, we have composed our guides in such a way that it would give you all the necessary information about a specific topic in the least possible amount of reading time. Other than that, our guides are also consistently written. We try to mention all outsourcing terminologies and make the format and presentations as similar as possible to avoid any confusion. The style guide, numbering systems, and bullet points used in each guide are followed all the time. We also make sure that the charts, graphs, and other visual aids included in the material are relevant to what the texts are saying. We also present both the pros and cons of Philippine outsourcing. We believe that it is important for our clients to have a complete overview of the subject before making any decision. 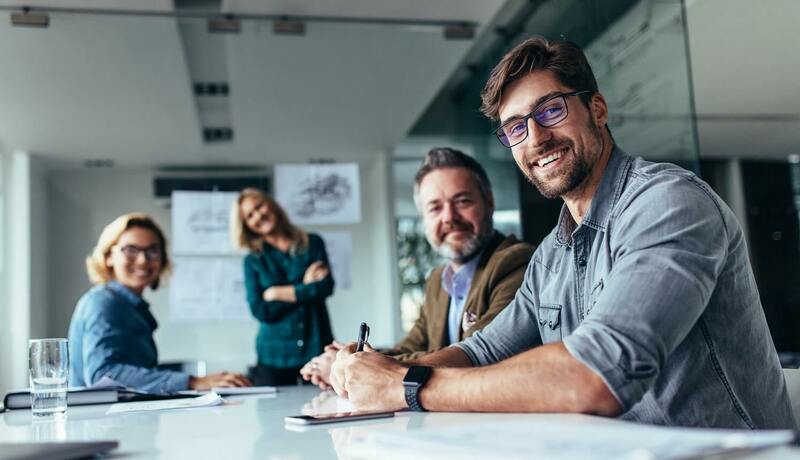 We believe it is essential for them to understand the benefits and drawbacks of something before they give their 100 percent dedication to any outsourcing project. Access our comprehensive guides right now and begin to learn more about outsourcing in the Philippines. You may be wondering if outsourcing to the Philippines is the best option for your business. You are perhaps unfamiliar with the country, its government, and laws, and how much are the standard income and salaries of its workers, which make you hesitate a bit. No need to be in the dark anymore. Our Philippines BPO guide manuals will offer you all the necessary information you need to consider when outsourcing in this country. From the standard monthly income of Filipino employees to the average monthly expenses of a typical Filipino family to official government statistics regarding the country’s BPO industry, we have covered all of your bases with our guidebooks. Reading our guides will enable you to find out how to save more than 80 percent of your company’s labor costs just by choosing to outsource in the Philippines. To give you somewhat of a preview, a mere USD$600 (Php30, 000) monthly salary could already go a long way for one Filipino employee to provide for himself and his family. For sure, it is a lot lower than the average labor cost in countries such as the U.S., U.K., and Australia. And it is just one reason why you should outsource to the Philippines. There are many more discussed in the manuals, including the Filipinos’ work ethics and office culture, the country’s outsourcing-friendly laws, and the overall long-term support the Philippine government has given to the industry. If you are thinking twice about outsourcing in the Philippines, then our guides will help make up your mind about it. Our guides offer unbiased information and expert-level assessments about outsourcing in this country. Access them now and find it out for yourself! Outsource Accelerator guides provide practical advice and basic education for business people who are planning to outsource. If you intend to enter the exciting world of outsourcing but do not know how, where, and when to start, then our business process outsourcing guides can help you ease into it. It is natural to feel some reluctance when deciding whether to go all-in to outsource some or most of your company’s operational tasks. There are certainly risks to it as you would have to work with a third-party entity where you would have to share some of your business’ confidential information and practices with. Also, you have to make sure that this third-party service provider is competent enough to represent your brand to your customers. Outsourcing is surely not simple, but it does not have to be that complicated as well. That is why we have created these “how-to-start-outsourcing” guides. We have simplified the approach for you. We have broken down the process into easy-to-follow steps, which are all included in our articles and eBooks. We want to make sure that you successfully achieve your outsourcing goals without making too many mistakes along the way, especially if you are a beginner. With our accessible and easy-to-read guides, you can be confident that you will know what to do, and also learn what not to do, even before you work with your very first outsourcing service provider. These Outsource Accelerator manuals will guide you from the preparation stage of outsourcing, up to the actual implementation and beyond. If you want, we can also provide you with a customized activation program that suits your company’s values, philosophy, and culture. Indeed, entering the outsourcing industry takes a lot of courage. You need to trust whatever amount of knowledge about the industry you currently have. Increasing that knowledge is crucial for sustained success in this business. That is where our outsourcing eBooks come in. To begin with, you can download our own meticulously-compiled outsourcing starter tool kit. The kit includes a white paper about the outsourcing industry’s future, a comprehensive guide to payroll and salaries, an inside outsourcing blueprint, and an outsourcing savings calculator, which are everything you need to begin outsourcing. This outsourcing tool kit is downloadable, simply by entering your email address in our website. By downloading the starter kit, you are also signed up to become a part of our fast-growing outsourcing community where you can talk to any of our outsourcing experts anytime you want or reach out with your fellow outsourcing practitioners and inquire about their experiences. Beginning to outsource should not be problematic. Download our outsourcing starter tool kit now and start your own outsourcing journey! 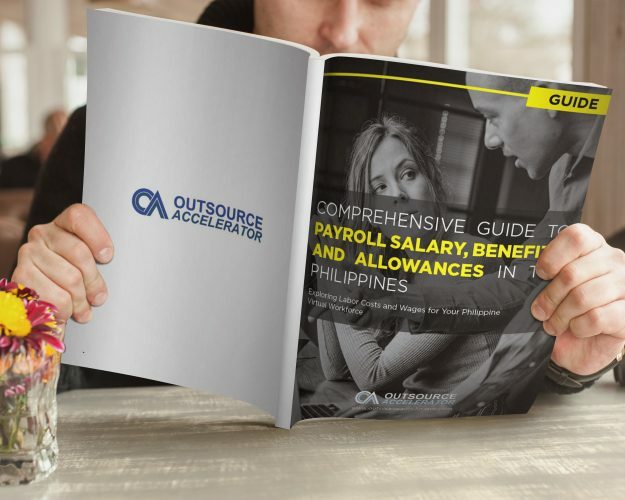 Outsource Accelerator recommends outsourcing to the Philippines as the ideal option, and we have several eBook guides to help you understand why. We believe that this route would help your business generate maximum savings on labor costs without sacrificing the quality of work that you have the right to expect from a third-party provider. Filipino employees are known to be hardworking, courteous, and highly proficient in the English language. The Philippines also has a service-oriented culture. Filipinos, in general, are very hospitable people. Workers could undeniably provide world-class customer service given adequate training. These traits strike the right balance between trying to cost-cut and remain competitive. Our guides provide the latest information about the Philippine BPO industry. They allow you to appreciate the benefits of setting up your outsourcing and offshoring projects in the Philippines even if you have not yet visited the country. These Outsource Accelerator guidebooks do not promote any single or particular group of BPO firms in the Philippines. We are an independent, private, for-profit business without any affiliations to any BPO company in the country or its government. We accept no commissions or any other fees from any group or entity in the said country. By accessing our guidebooks, you can be sure that what you get is unbiased information regarding Philippine outsourcing. That way, you become better equipped to make decisions that are beneficial to your company ultimately. If you are looking for a comprehensive outsourcing guide that could also cater to beginners, then you have come to the right website. 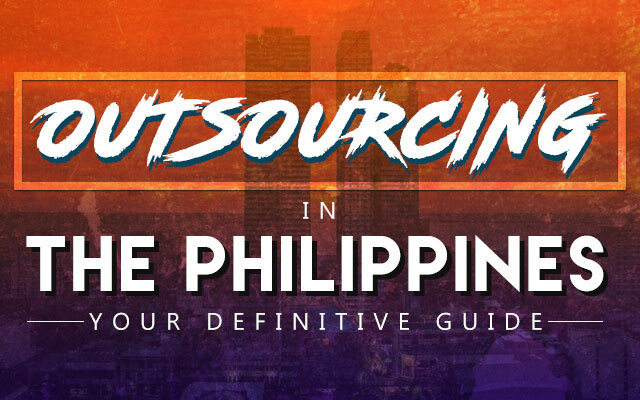 Regularly check out our guides page within The Source to access more of our free in-depth articles regarding the outsourcing industry in the Philippines.